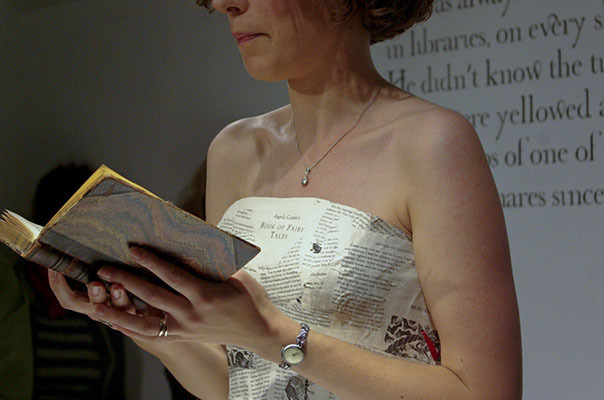 A new fairytale for adults commissioned by Litfest from contemporary fairy tale author, Claire Massey was premiered this Saturday 16th October at The Storey, Lancaster. 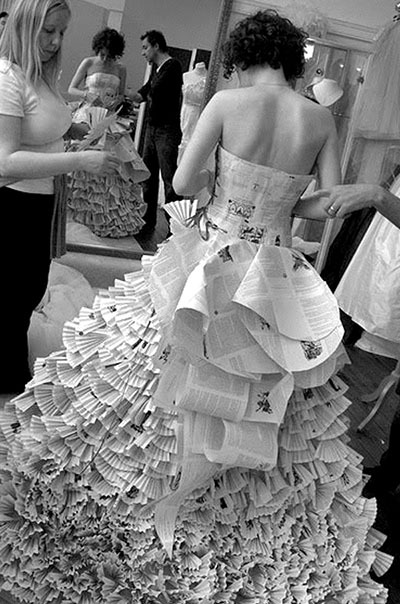 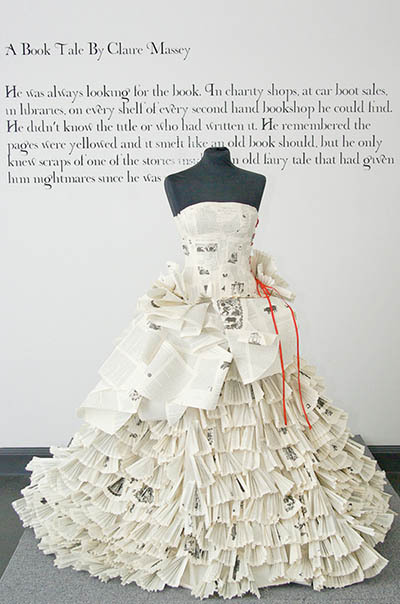 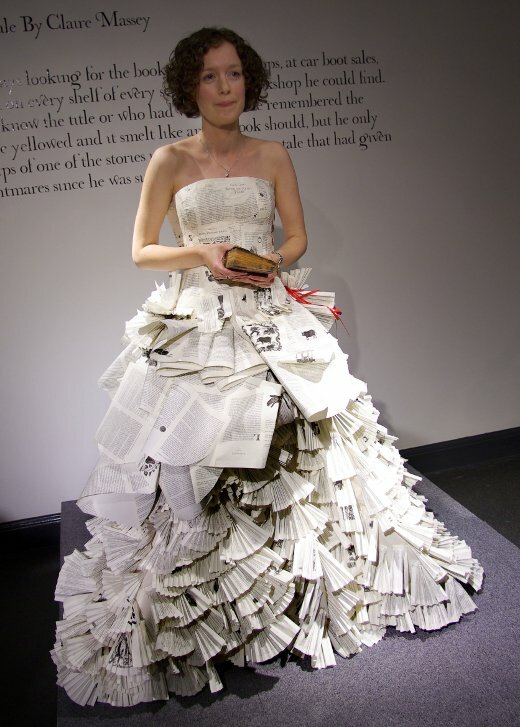 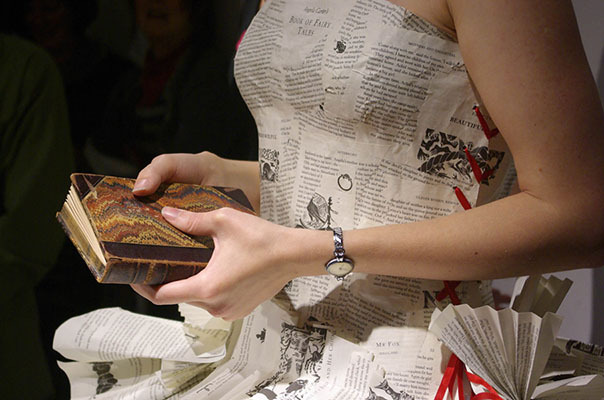 Claire wore a custom-made dress made entirely from the pages of books, designed and hand crafted by Lancashire bridal designer, Jennifer Pritchard Couchman. 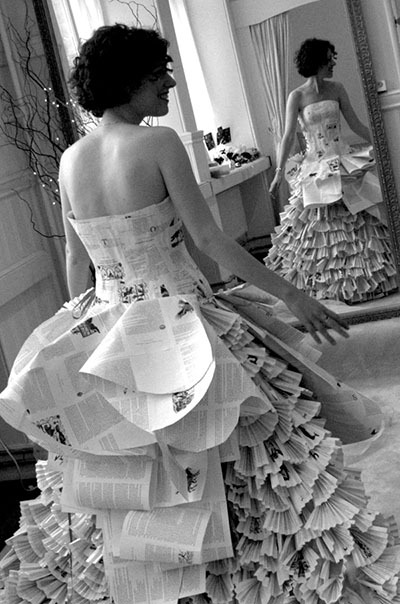 Great designs by a very talented lady who makes you feel like you have known her for years.